Houses on TV are sometimes not what they seem. I know what you’re thinking, you’re thinking…really Sue? 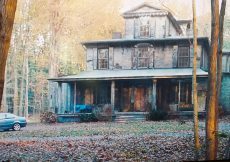 A reader, Casey L. Morris, enlightened me about my Houses on TV post TV Houses in Commercials where I share some house-junkie TV house mania about Lowe’s commercial for home improvement that has a song playing…. “The best day of your life” I even state in that post that… This is starting to look like Wisteria Lane on Desperate Housewives. Guess what? 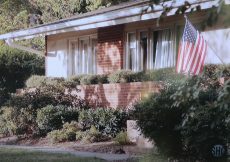 The houses on the Lowe’s TV Commercial, per reader Casey Morris, are actually…. That blue house was used as the “Til death” and “Partridge family” house. The red one was the “Father Knows Best” house. No wonder we consumers are so attracted to the Lowe’s Home Improvement commercial (or is it just me?) 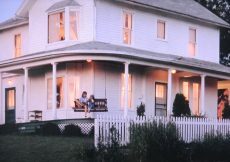 and other commercials with houses? They star our favorite houses on TV masquerading as something else and earning money playing a different role. Love It! 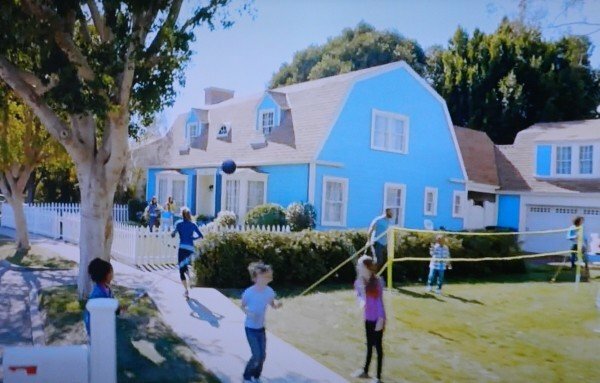 Here’s one of the shots of the blue (TV commercial) house I posted that was also “The Partridge Family” house, and the “Bewitched/Kravitz,” house and “The Donna Reed” house. 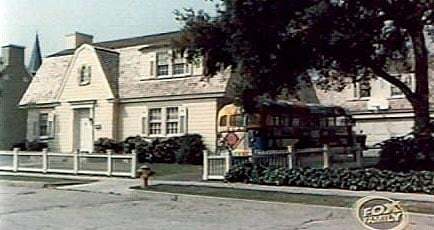 The blue TV House as the Partridge Family house was built a little different without the two bay windows or double dormers on top, and the front door area is different, but it is the same house. 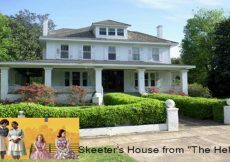 A bit of trivia I found from cmongethappy, is The Partridge Family debuted before Bewitched ended, so for two seasons, The Partridge Family and the Kravitz shared this house. 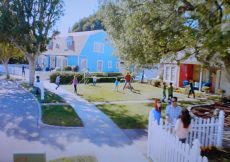 Casey tells me that the newest Michael Buble video “It’s A Beautiful Day” was shot on “Wisteria Lane” complete with unicorn clouds and bluebirds. Colonial Street and Circle Drive on the Universal Studios Hollywood backlot has become or was turned into the beloved Wisteria Lane for the Desperate Housewives show via Thomas Finn‘s YouTube video you most definitely will enjoy if you’re a TV Land fan. Keep watching to see the before and after transformation. 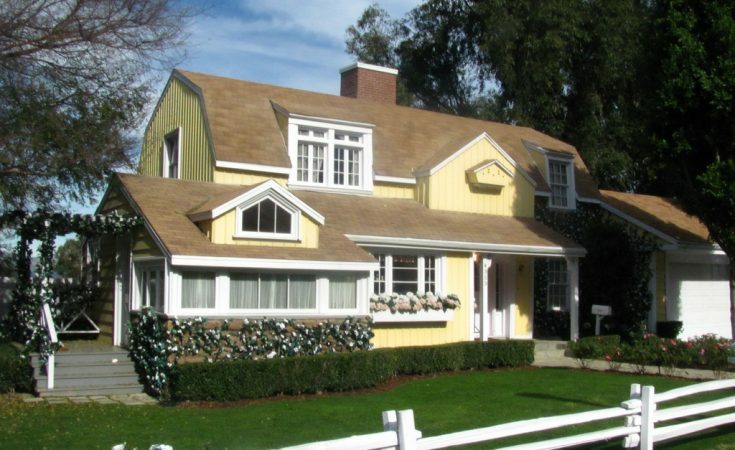 In the meantime, you can check out TV Houses in Commercials and Desperate Housewives Wisteria Lane. I know most of the houses may be just shells, but they are real houses in my mind. The last video above,2nd part, is taken from a tram bus tour too. Love your Bree Van De Kamp restroom in the house reveal! Thanks Maude! I’ve read you can take tours of the stud backlots to see these TV houses. What’s not clear to me is – are they just facade’s or do the crews actually film inside? Or is all filming done on a soundstage in a big warehouse? The last video second part is being filmed from a tram touring Wisteria Lane. As for filming inside, I believe it is both.